In this post, we are going to tell you how you can get ranked and indexed by Baidu. 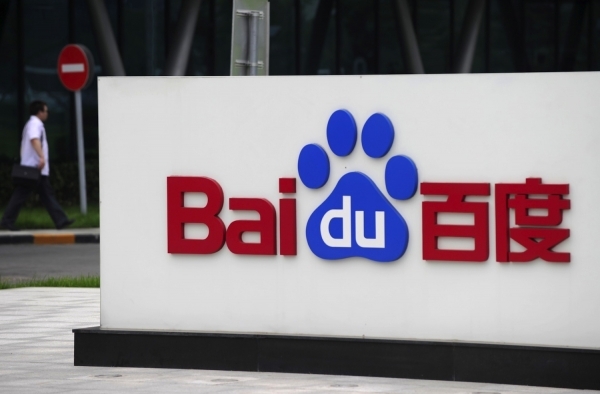 There are many differences between Google and Baidu. In order to be ranked in Baidu, you will need to meet requirements you would not even consider for Google. In this post, we are going to tell you how you can get ranked and indexed by Baidu. There are many differences between Google and Baidu. In order to be ranked in Baidu, you will need to meet requirements you would not even consider for Google. Baidu’s crawl and indexation engine is not as technically advanced as Google’s; it is also less selective about requirements for getting ranked. If you want to get ranked in Baidu, you will need to consider your priorities. Is Google important? If your target audience are primarily Chinese then the answer is probably no. If, however, you need to rank highly in both because of a dual audience, then you need to look into splitting your site and creating two separate ones. There are many reasons why this is the case. The Baidu web-crawler is not as sophisticated technically as Google’s crawler and is known to have difficulties when trying to index pages, so you will need to optimize for this. Site Layout: It’s important to note that Baidu likes the use of Sub-Domains, however, it is crucial that you know when it’s appropriate to use subdomains and when to use folders such as domain.com/cn/. Essentially if you are an E-commerce site you should probably use folders for your different products, as having too many subdomains will have a negative effect on your site. The only sites we really recommended useing subdomains are medium sized websites that need sections such as blog.domain.com or email.domain.com etc. For anything else, provided there is not too much content, should ideally be using a folder URL structure. Site Topography: Badu’s spider does not find related or new pages very well, it is important to make sure you are using as simple a structure as possible. Every section of your site should be obtainable within 4 clicks from the home page. If Baidu cannot crawl through your site easily you will find it hard to get indexed and, as a result, you will obviously find it hard to rank for your content. Baidu is also well known for not indexing as fast as other well-known search engines so it’s important you optimize for it. Inner-linking: It is important to make good use of inner-linking, in order for the crawler to navigate through and see relationships between content and your other pages. This also helps reduce bounce rate and improve visitor KPIs. Site Language: It should be no surprise that Baidu will rank Chinese language content better and index it better. Make sure you are targeting the correct type of Chinese language, there are 2 main types of Chinese characters, Chinese Simplified and Chinese Traditional; make sure you know the difference. Baidu is a search engine targeting the Chinese, they know that English speakers can you use sites such as Bing or Google, if they have a VPN, so don’t expect to rank if you are using English characters. Do you need an ICP License and what is it? : An ICP License is given by the government and everyone who has a website hosted inside China must have one. It is a complicated and arduous process. This isn’t strictly site structure, but it is a must have when creating a website which is hosted inside China. In order to obtain one of these you will have to complete some essential paperwork, however, you will also either need a Chinese business license or you will need to have a partner company in China. This is something we can help you with if you require. Use of HTTPS and encryption: Baidu does not seem to index HTTPS sites well. Only those that have extremely high traffic should even consider doing this as it seems to hurt smaller sites. It is also not common for Chinese sites to be HTTPS since most payment methods are done via mobile QR codes such as AliPay, so payment details are never really provided over websites. Use a Chinese CDN: If not hosting in China, you will need an ICP license for this, then host it in Hong Kong or Singapore. By using these services your content will be served a lot quicker to your visitors. If your site is hosted outside of China then it has to pass through all the hurdles and checks of the Great Firewall of China. This can significantly slow down your site, not to mention the issues with the internet to other country’s from China; by using a CDN inside the GFW you can overcome these issues. Hosting inside China, there are many companies you can use to host inside the firewall, overcoming the same obstacles of the GFW and vastly decreasing your sites loading time to your customers or clients; however, for this you will again need an ICP license. Fixing Broken Pages: Having broken pages can confuse Baidu, as well as visitors to your site. it’s important that your pages work as intended, it also can break ‘’Link Juice’’ passing through your site correctly and can hurt you if they are not dealt with correctly. Chinese Meta Tags & Keywords Optimized: A lot of our new clients use Meta tags and keywords in English they don’t always realize that they should be aimed at the target audience. It’s important to research these thoroughly; using an online translator will not be effective. Chinese is a complicated language and if you are not careful you could use the completely wrong content for your sites Meta. Chinese Content – Your content should obviously be in Chinese and aimed at your market, it is important to know whether you are using Traditional Chinese or Simplified Chinese? It’s important to know and make sure it’s correct as not all Chinese people can read and write in Traditional anymore. It is particularly less practiced in the mainland. Chinese SERPs, especially Baidu, look at external links very differently than Google. Baidu will still rank you higher for the more links you have, however it’s important to know that the quality of the link source is increasingly getting important but not yet at Googles level. Another key difference is that you won’t receive the same penalization that you would get from Google if you have a lot of links in a very short amount of time. It’s entirely normally for sites to gain hundreds of links within the space of a week. In this sense Baidu very much resembles Google in the early 2000’s. Mutual linking:友情链接 or in pinyin Yǒuqíng liànjiē, which means Friendly Links. Many sites including the large traffic sites such as Alibaba or JD.com, use friendly linking, this is normal practice and each site will have rules for mutual linking back to you and even have a dedicated team to authenticate these links and arrange them. Usually to get mutual link though you will require a rank ≥3 PR, it’s also common practice that if your rank is PR4, 3 or worse, then you can expect to pay a monthly fee to get this mutual linking, obviously this would break Google’s Webmaster agreement but in China it’s perfectly normal and expected. Gaining links from Chinese bloggers and other media: Don’t be surprised if Key Opinion Leaders (KOLs) in China request some sort of monetary compensation. The Chinese know that ultimately this is business, and that you will gain from them linking to you, especially bloggers, Chinese bloggers usually, have huge followings that western bloggers could only dream of. It is not uncommon for Chinese bloggers to have more followers on Weibo than many Western celebrities do on sites like Twitter. These bloggers are mini-celebrities in China, and they are fully aware of their influential status. Ranking in Baidu is not as straightforward as many people think. To get ranked in Baidu may require your SEO team to do things that they would not normally need to do for Google and may even hurt them in Google rankings. This is why it’s important to separate your sites if you want to rank well on Baidu. Having a good in-house SEO team is very important to make sure you do what is required to get into Baidu. There is a large importance placed on relationships in China, having a native speaker on your team is definitely a must as not everyone you have to deal with in China will speak English. The SEO world in China is a very different landscape and understanding its differences, strengths and how you can leverage them is important. Having an international team, who can speak the local language and understand the cultural differences when dealing with Chinese KOLs and companies will help your organization build strong relationships with your partners. The red tape involved in getting set-up in China requires prior knowledge and skills that are lacking in the west, this is why it’s important to partner where necessary with firms that have the experience and skilled workforce, and this is something we at Digital Jungle pride ourselves upon. If you wish to find out more about our services and what we can do for your business or organization please get in touch via our contact page.